Patients with eating disorders who are in treatment at the Belmont Center for Comprehensive Treatment, a part of the Albert Einstein Healthcare Network in Philadelphia, PA, is using an interactive computer program, "Healing Rhythms", in the course of treatment, as reported by the Philadelphia Business Journal on January 30, 2009. "Healing Rhythms" is made by a san Diego computer company, WildDivine– the very same company that produces "Journey to the Wild Divine", an interactive computer game that employs biofeedback data to negotiate your way through the game. 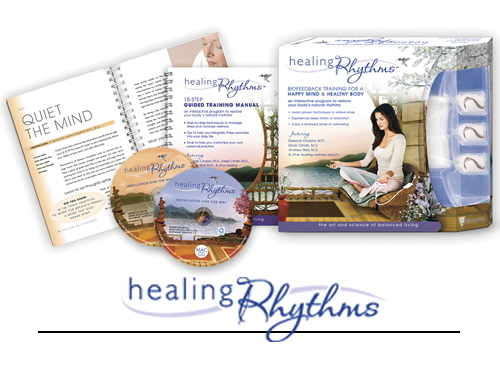 "Healing Rhythms" uses the same technology and imagery, but without the game component. I wrote positively about this game in this blog some time ago when I began to use it with clients and I still think highly of it. In fact, I would expect to see more input to computers using biofeedback as the technology matures. You can see it happening also in the iPhone with its sensitivity to movement, and the Wii.